As we talk about planning for retirement one factor that remains prime is adequacy of retirement benefits. Retirement planning is not to suggest that you live on a certain level of income in the single digits of thousands and instantly become a millionaire when you retire. Retirement planning basically looks at what you can do to maintain or not to drop sharply in income because of retirement. It is worth noting that a typical retirement plan is only set to replace a certain level of your income during the active working life. The portion of your earning’s replaced as retirement income could be any fraction but the global average is estimated at 65%. This is called the income replacement ratio; the percentage of your pre-retirement earnings that will provide you with the same standard of living in retirement. For example if someone earned Ghs2,000 as basic salary prior to retirement and in retirement earns Gh1,200, the replacement ratio is simply 60%. It differs from country to country depending on the type of pension system which prevails in the country. Globally recommended rate is at least 65% net (after tax) replacement rate at retirement for a fulltime worker on a median income (Melbourne Mercer Global Pension Index, MMGPI). 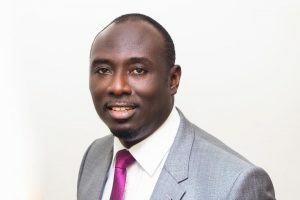 In Ghana, the level of income that could be replaced in totality would largely depend on how effective you have been with your retirement planning. The era where one is caught off-guard with retirement should be over. Retirement planning may not necessarily be fool-proof, but at least some steps taken in planning would is of prime significance. It is important for you to have an idea how much of your income would be replaced from the pension plans and other investments made towards retirement. Again no one knows the future, but in the same way organisations would prepare long term strategic plans, so does an individual who desires to live comfortably during retirement. Much as business plans are not everything and are even thought to be fading off, not having any plan at all is also doom waiting to happen. One good cause of retirement hardships is the rather low income replacement ratio. Many had no idea what was due them until they got into retirement. The knowledge of the meagre retirement package due them was the beginning of their demise. The first antidote to this is for you to be conscious of retirement and no matter your age begin to take steps towards it. The longer the time, the better. In my retirement planning seminars, participants have emerged a lot more conscious of retirement, the need to plan and the urge to do something now. Ghana’s 3-tier scheme has the potential to replace retirement income to 100% of your basic pay. It depends on how take advantage of it. Each tier contributes a certain percentage of your basic income into your entire retirement benefit. The 1st tier with SSNIT being the Basic National Social Security Plan (BNSSP) currently replaces between 37.5% and 60% (maximum) of your basic taxable salary. The major condition is that one should have contributed for a minimum of 180 months and should have attained the statutory retirement age of 60. As one crosses the 180-month mark, still remaining in employment and continuing to contribute, any other year or month of contribution earns the worker an extra right which translates into the income replacement ratio up to a maximum of 60%. A person who works and contributes for 30 years could have income replacement of 45-50%. The voluntary 3rd tier if fully utilized of the 16.5% allowable tax-free contribution, could yield significantly to push the income replacement beyond 90%, depending on the duration of contribution. Period of contribution: for both defined contribution (DC) and defined benefit (DB) plans the period of contribution matters. Defined benefit scheme like the type run by SSNIT qualifies you to receive 37.5% of the average of the best 3 years salary in your career if you contribute for 180 months. The income replacement ratio then is 37.5% of your best three-year earnings. However any additional month of contribution would give extra rights which increases the replacement ratio up to a maximum of 60%. The defined contributions (like 2nd and 3rd Tiers) also operates with a function of time. The longer one can contribute into the schemes the better, as more funds are accumulated and grow under the compounding principle. Level of contributions for defined contributions obviously has a direct effect on fund accumulation under pension. This is true for 2nd tier and the 3rd tier which are entirely based on weight of contribution, the investment performance of the fund, charges on running the scheme and the cost of conversion into annuity (if opted for). The above discussion points to the necessity for us to be conscious of retirement no matter the time ahead and also to take steps to chalk a good replacement income. There is not much to do regarding the 1st tier except to ensure that your employer is paying (or a former employer has paid up) and that the information SSNIT has on you is accurate. The 2nd tier is also pretty much fixed at 5% and as a contributor also ensure that your employer is paying and you are also following up after investment performance. Boosting the income replacement from the 3rd tier should involve making use of the bigger allowance of 16.5%. You have a greater opportunity if your employer is paying a part of it. Other articles have addressed the issue of using your business as your pension. If there are other businesses that bring income, it will be a great idea to place a certain portion of it in a personal pension. It is possible to actually earn more in retirement than in the actively working stage. The determining factors of a lower global income replacement of 65% are the considerations that once you are not working the burden of daily commuting, clothing, eating outside while at work, among others are curtailed, therefore one could do with a reduced income. It may be partially true in our Ghanaian context. However, in retirement the cost of social functions may increase, health costs may also go up. Hence, the current active worker should not just be satisfied with retirement incomes from the stipulated mandatory schemes. This is not to suggest that pension contributions are the only way to be comfortable financially in retirement. This is more to help in maximizing retirement benefits through pension contributions as a formal worker. No matter the current level of earnings and time ahead of you in retirement, you should have an idea how you want your retirement to be, what goes into attaining especially the desired income replacement and just work towards it. Hopefully, this piece should help you do so. The author is a Pensions and Management Consultant with M-DoZ Consulting. He provides retirement planning and pension advisory services to organisations and groups. 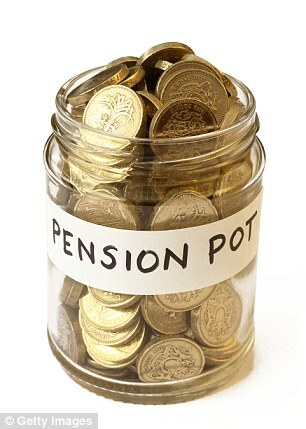 Retiring Richly- How Adequate Would Your Pension Be? Retiring Richly; What are Your Responsibilities?